We can all agree that pre-season testing does not tell us anything in terms of who is fast and who is not. The times are not relevant to anything. Teams are running different setups, varying fuel loads, long stints, short runs, and an impossible mix of tyres. Over the past few weeks, we've seen a blend of old and current cars, experimental front wings and newly designed parts all on track at the same time. It's no wonder that the end of day timesheets have to be taken with an entire salt cellar sitting beside you. Having said all that, there are some generalisations to be drawn from the pre-season experience, and for a few teams, it has been a tougher start to the year than they might have imagined. 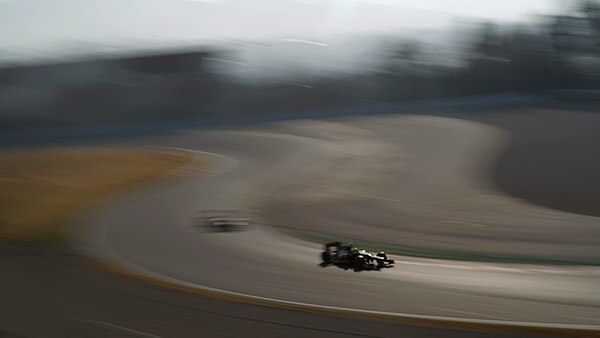 Lotus started testing on top of the world, with returning champion Kimi Räikkönen the fastest driver out there. They also ended all pre-season testing in the same position - with the Iceman topping the times ahead of the other teams present. In between, they had their fair share of drama, finding themselves sitting out one week due to part failure. It's been an intense few days, but I have to say that everybody has completed their tasks in tremendous fashion. On the first day back at the factory, I spoke to the entire Enstone personnel and clearly explained what happened. Everybody understood that the situation was unfortunate, but under control. Being in control is at least half the battle. As one of the only top/midfield running teams to have missed out on a significant amount of testing, I'm curious to see if it will have any noticeable effect on their performance when the racing gets underway. We know that some of the teams towards the rear have struggled and likely will continue to do so, but seeing if the missed week has any effect on Lotus over the coming months will be an interesting watch. Much was made of the fact that Ferrari refused to let their drivers talk to the media during the final testing week in Barcelona. Personally, I think it's just another example of some of the odd things Ferrari do, and I don't think it is something to read too much into. Regardless of what they do or do not say to the media, they aren't trying to hide the fact that the last few months have been a bit of a disappointment for them. I think [Red Bull] will improve by X per cent, and we are going to improve by X by two, so it's all going to be much closer... We know our rivals will be very strong and whoever wins next year's championship will win it by a tenth or two in the car. There aren't going to be huge gaps. Now, after three frustrating weeks of being unable to get through their testing programme, and being forced to use flo-vis in plain sight of their competitors, team principal Stefano Domenicali is reduced to more cheerleading words instead. It's obvious that we can't be happy with how the test went considering or goals, but let's not forget that the championship still has to start. This is just the starting point and we have a very long season ahead of us. Meanwhile, double champion Fernando Alonso is looking to the future - far in the future - in the hopes they can build their way to the dream. What counts is not to be first in the first race, but in November, at the end of the championship. I can't see it being a strong year for Ferrari, given their general state of pessimism at the moment. However, there's a fine line between being realistic and being down in the dumps, and it could be that Ferrari are facing the problem head on and working to improve it, rather than just hoping things might get better. Despite not showing up with a new car at any of the 12 days of testing, both Marussia and HRT have managed to dominate the headlines. Faced with endless delays to the launches of their respective cars, the teams had to admit they wouldn't make it out on track in Spain, but they have now revealed their 2012 machinery. They're not much use like thatCredit: Pirelli & C. S.p.A.
With zero testing behind them, the new cars will be mingling with the competition for the first time in Australia, and that is not long now. If there are any significant issues with the cars, they will take a good few weeks/races to sort them out. Flyaway events are not the ideal to shakedown a new chassis, and we know that both teams have restricted budgets to fix any issues that do arise. However, the good news is that both teams have passed all of the crash tests - HRT a while back, Marussia just scraping through the final crash test today. Barring any unforeseen circumstances, they will be present and correct at Albert Park, ready to race, if a little on the back foot. It's hard to see how they can make any major steps forward if they have zero testing, zero budget, and little in the way of F1 experience but there is still plenty of time for them to surprise us. For the other teams, those not mentioned, it has been a few weeks of solid running, gaining as much data as possible, and dealing with any small niggles and mechanical gremlins that raised their heads. 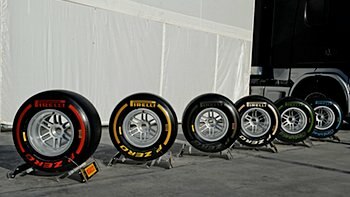 New drivers spent time fitting in with their teams, and all got as much information as possible from the new Pirelli tyres for the coming season. They are ready to get going, and I think we are too. 2012 is going to be a fascinating ride for all involved. Previous post Pre-Australia updates: Sneak preview!